ALPHA ONE Single-Beam Rear Suspension: Our single-beam rear suspension unlocks more maneuverability than any mountain snowmobile in history. Up here, there's only one alpha. 8000-Series C-TEC2® Engine: Mountain Cat Alpha One's 8000-series engine packs serious power into a highly maneuverable snowmobile. 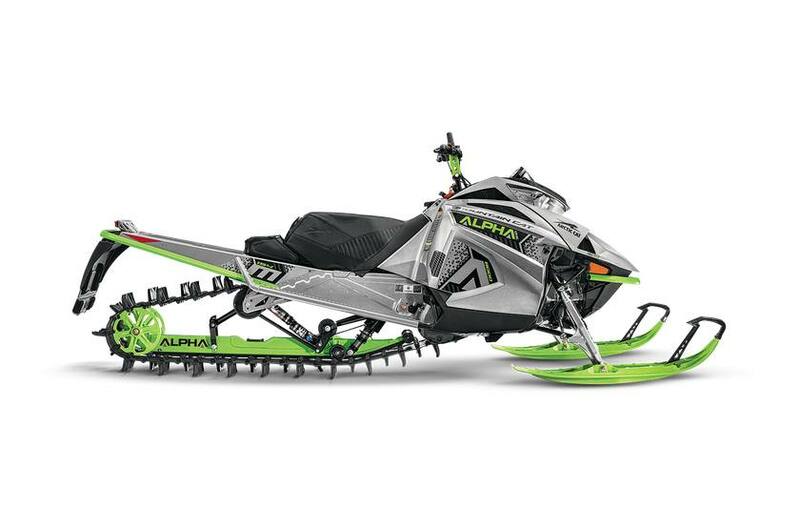 AMS Front Suspension: Lightweight spindles and a precision-engineered mountain-specific suspension geometry let you maneuver through deep snow and anything else the mountain has in store. Power Claw™ Track: Slice through deep snow with Power Claw: a lightweight track that delivers the ultimate deep snow traction and performance. Adjustable 35.5"-37.5" Ski Stance: Easily adjust your ski stance in seconds — keep it wide for the trails or narrow through the trees. Overall Chassis Width: 42.5-44.5 in. Overall Chassis Height: 50 in. 15 in. x 154 in. x 3 in.